Here at Plymouth, we create opportunities for alumni to connect with each other. From sector-specific groups to regional and international networks, our global community enables alumni and students to network both socially and professionally. Find out about our alumni network in the UK, internationally and online. If you're interested in joining a network or starting one near you, get in touch with us to start things off. Email alumni@plymouth.ac.uk and check the events page to find out about forthcoming events. The London Alumni Network was launched by the University of Plymouth London Alumni Committee in 2017. 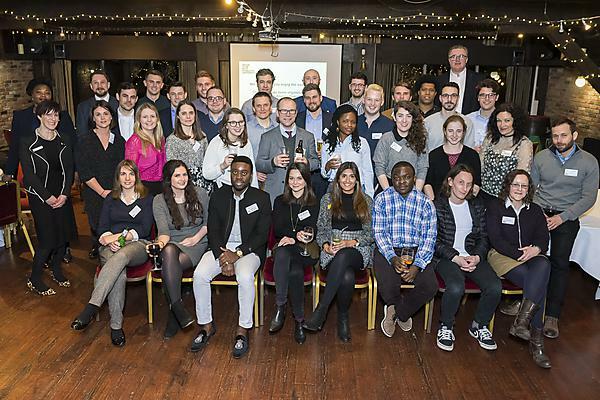 The aim of the network is to foster a network of Plymouth graduates in London, which creates opportunities for alumni to engage with each other, the University and our students. Find out about the network, view the pictures from our events or join the Facebook group! Throughout the year we invite alumni who are based in the UK to return to Plymouth to attend a range of sector-specific events designed to keep you up to date with the latest developments in your field. From the creative arts to law and sociology, we offer a varied programme of engaging events with expert speakers and networking opportunities. To make sure that you hear about future events near you please ensure that we have your current personal email address and location, email alumni@plymouth.ac.uk or log into Plymouth Connect and update your details. Plymouth has a thriving international alumni community. We work closely with our international alumni ambassadors to organise alumni events in a range of locations including Athens, China and Singapore. Email alumni@plymouth.ac.uk, and check the events page to find out about forthcoming events. We welcome membership from both current students and individuals with a sea-faring qualification from University of Plymouth or a former incarnation. Did you study business at University of Plymouth? The Business School has a very active network on LinkedIn, connecting alumni and current students across the world. Join the network.